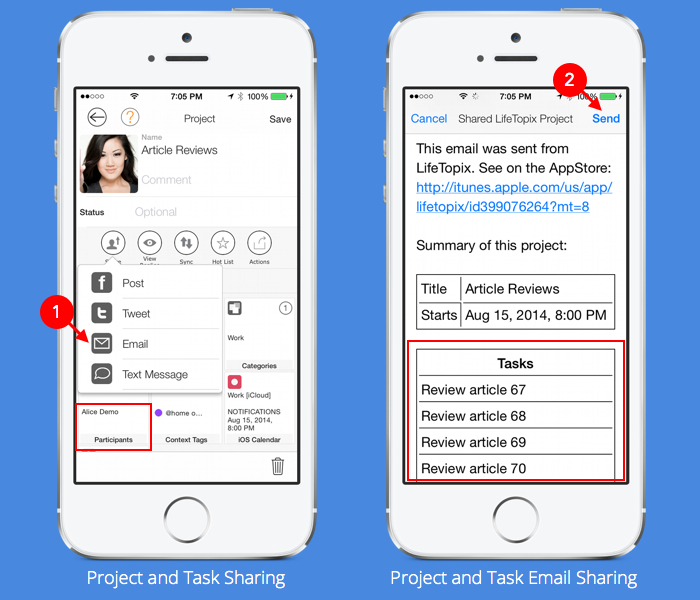 A recent question on www.Quora.com, ”What is the best way to balance the use of Dropbox, Google Docs, and Evernote” inspired us to create a post describing how we support these services from within LifeTopix so that our users can easily place and track relevant pieces of information in their proper context regardless of its source. These three services (Evernote, Dropbox, and Google Docs) are the choice within their category for our users, and most users use a combination of all three based on their needs. We’re constantly talking to our users about how they use top notes services (Evernote), top file storage services (Dropbox), and top collaborative document services (Google Docs). This has influenced us to support these services from within LifeTopix, and also helped us to understand how users want to track relevant pieces of information in their proper context regardless of its source. This post will explore how you might use these services when planning a trip — to perhaps, Maui. Evernote: Real note taking happens in Evernote. As a platform for notes, Evernote gives you access to your serious notes that build over time from anywhere. When planning your trip to Maui, you might want to jot down a few tourist attractions and places you want to visit by using Evernote. You can get to your notes from most devices using either the Evernote app or via a browser on your Mac or PC, making it very easy to manage the content of these long-term reusable notes. 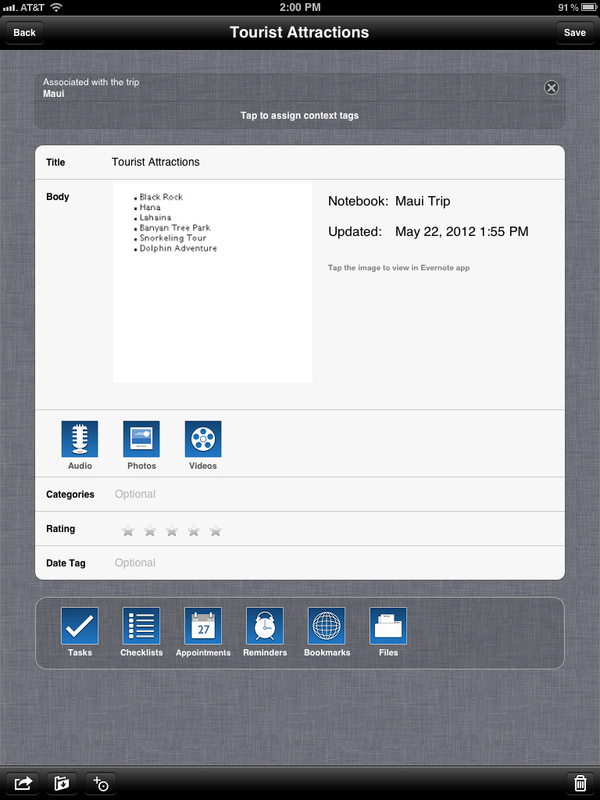 Within a LifeTopix trip, you have access to an Evernote entry used during trip planning. After syncing your notes in All Online Notes and associating the notes with a topic item, you can view your notes within the context of your trip as we show you below. Dropbox: By making it very easy to store files from the desktop as well as from apps, Dropbox has become the file storage service of choice for our users. Again, we chose not to replicate this, but rather to allow our users to attach files from Dropbox into items within LifeTopix. For example, if you are planning a trip with a group of friends, you might want to upload travel itineraries, brochures, photos, or other files that are necessary for your trip. After adding your Dropbox file folder to LifeTopix via Notes + Files, the file becomes available for viewing in context of the Maui trip. Notice the notification on the Files icons below. Clicking that icon allows you to view and edit these files. Google Docs: For online collaboration, personal documents, and spreadsheets, Google Docs has the most traction within our user base. Again, we allow LifeTopix items to easily associate spreadsheets and other documents that are authored, edited, and managed on Google Docs. For example, during your Maui trip, you might want to track shared expenses with your friends. Collaborating in a Google Docs spreadsheet and viewing it within the context of the Maui trip is a great way to keep everyone on track with their trip expenses. Personal and collaborative notes, documents, and files will continue to be a heterogeneous approach based on what we have seen over the last few years. 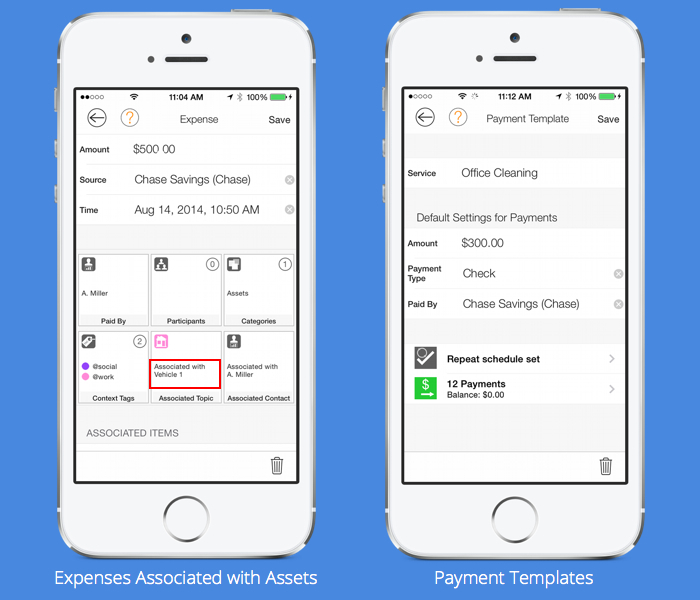 As a vendor of the most complete life organization and productivity app, we have embraced the concept of getting more value from users’ notes, files, and documents by allowing these items to be used in context. – An Ultimate Productivity Approach. GTD devotees know that there are 5 phases to mastering workflow – Collect, Process, Organize, Review, and Do. But how you apply technology to the task of actually putting these 5 phases into practice? We propose a system that takes an organic view of productivity to more truly reflect how we get things done in life. This system takes into account all the real-life elements of getting things done – things beyond notes and lists of tasks. For example, with something as complex as planning an event (like a birthday party or wedding), going on a family vacation, or embarking on a large household project (major landscaping improvements), tasks and notes with simple reminders only take you so far. Many more elements are involved, such as services utilized, managing the providers for those services, shopping, bookmarks, sharing with and managing event co-hosts, travel companions, or project team-mates, in addition to a comprehensive calendar view of everything with proper reminders. LifeTopix does 5 things to make it all come together more naturally. Let’s quickly take a look at each concept. It’s not just about quickly entering something to be processed later. It’s about capturing an item that can become anything – a project, a trip, and event, etc. 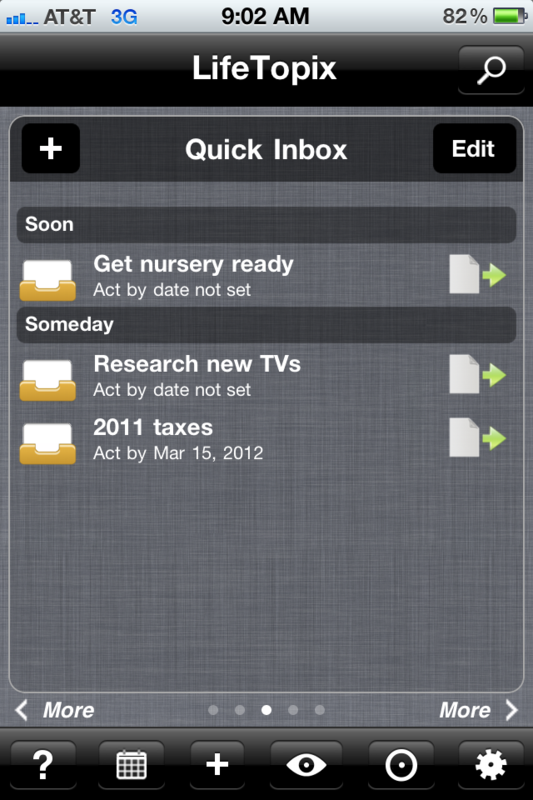 While it resides in the Quick Inbox, it can be marked as something to be done soon, or someday, it can be given a type from the beginning, it can be converted later into a specific type, and it can be managed in the inbox to track the next action date, while simultaneously being managed from whatever topic the item got converted into. Once it’s converted, the ability to associate all items with it in the app as it naturally does in real life, is key. To be able to manage shopping for a trip from within the trip, manage tasks, reminders, checklists, appointments, bookmarks, media, services, providers, notes, files, and share with participants from within the trip, from the same app, is priceless. Touchpoints are exactly that. Across everything you are doing/planning/thinking, across everything you need to know, configurable dashboards put it all together in helpful panes like What’s Next, Recently Updated, and Quick Access to the most popular items from a a single place. 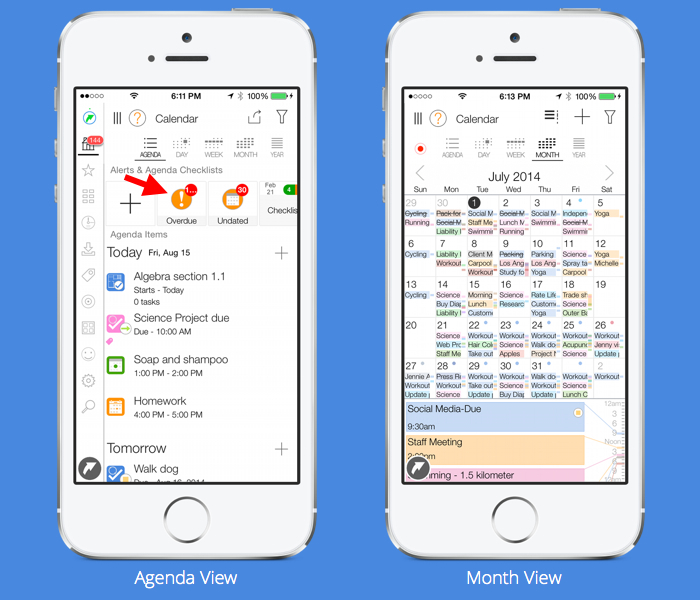 The power of expensive business apps in the palm of your hands for organizing your personal life redefines what a top productiviy app does. 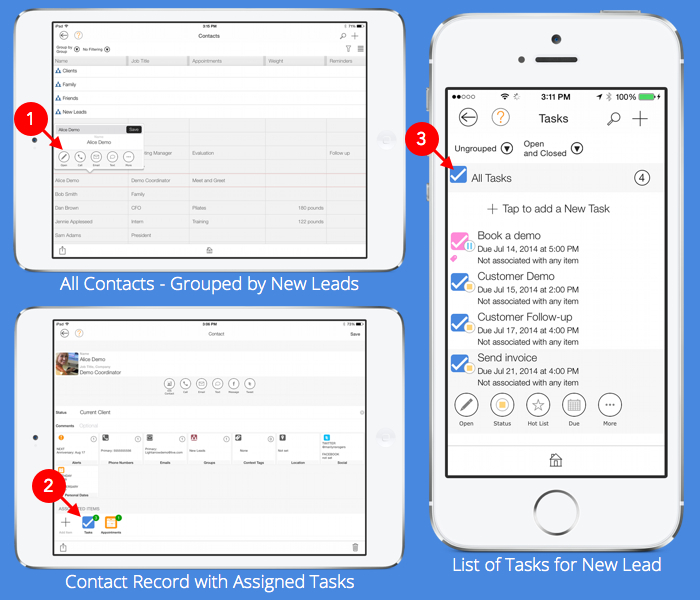 Use the contacts in your device directly, while knowing how the people in your life are associated with things you do over time – trip companions, event attendees/hosts, task owners, project mates, service relationships (doctors. plumbers, etc). 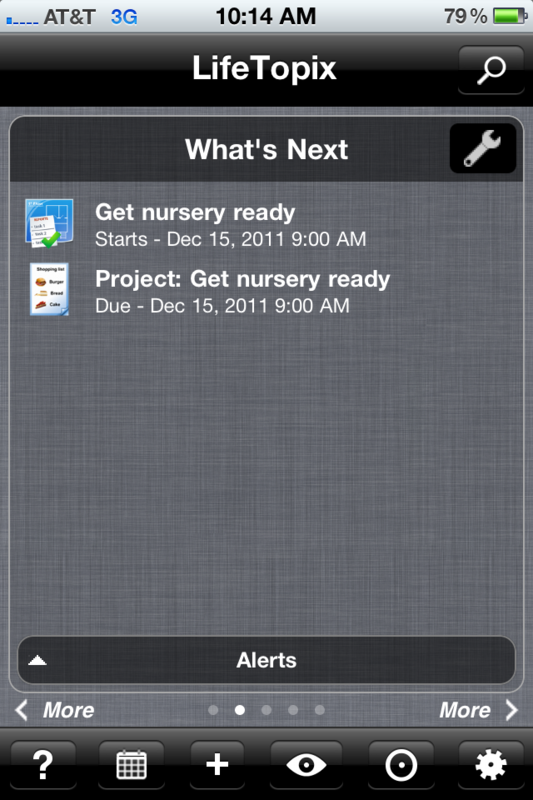 Take advantage of the device calendar in a way that fully integrates it with all things managed in the app. 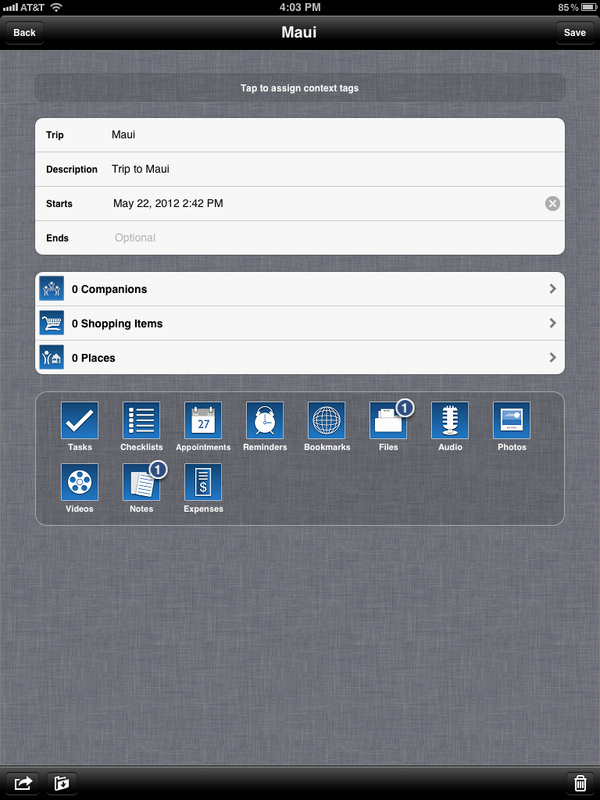 Utilize location to know errands, shopping and other location relevant items. 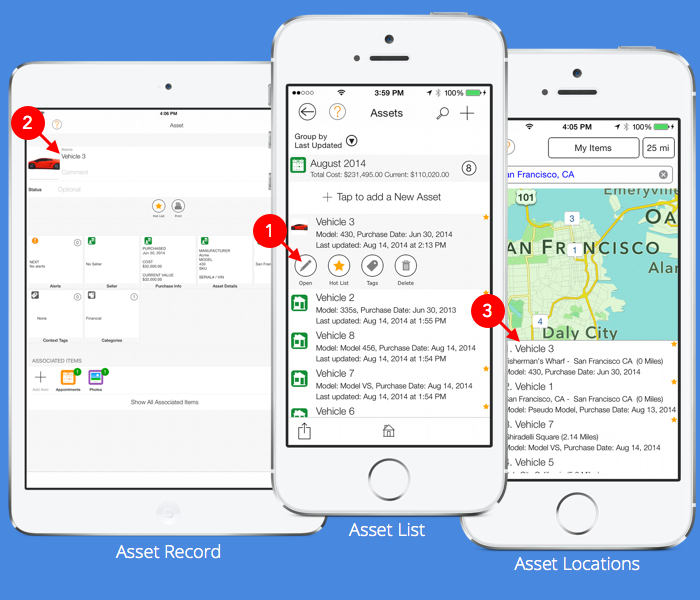 Whether at home or on the go, get more from your device to manage the information in your life. Facebook, Twitter, MobileMe, Google Docs, Dropbox – the list keeps growing. 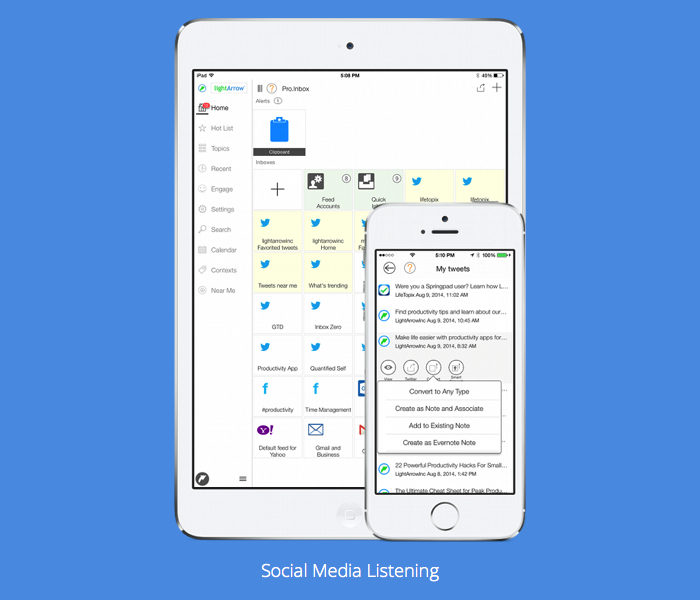 By using your favorite social and cloud apps directly from the things you do and need to know, usher in a level of productivity impossible to imagine with simple apps that do one thing only – like manage tasks, or keep lists, or just jot down notes. Go pro. Check out LifeTopix – tell us what more you want from this new kind of app.